Weighted blankets are making a huge splash in the bedroom and the reason is simple: they promise a better, more restful night’s sleep. If you can catch more Zzz’s with something as simple as adding a heavy cover to your bed, you can see why this trend is becoming as popular as is. Weighted blankets have a fairly self-explanatory name. They are blankets that are made much heavier than a normal blanket. Depending on the size of the individual who is using them, the blankets can weigh between 5 to 30 pounds. If you’ve ever laid on a massage table and had a warm, heavy blanket placed on you at the end, or been in the dentist’s chair and breathed a deep sigh of relief when the x-ray blanket is draped over your chest, you’ve got a pretty good idea of how a weighted blanket may feel. 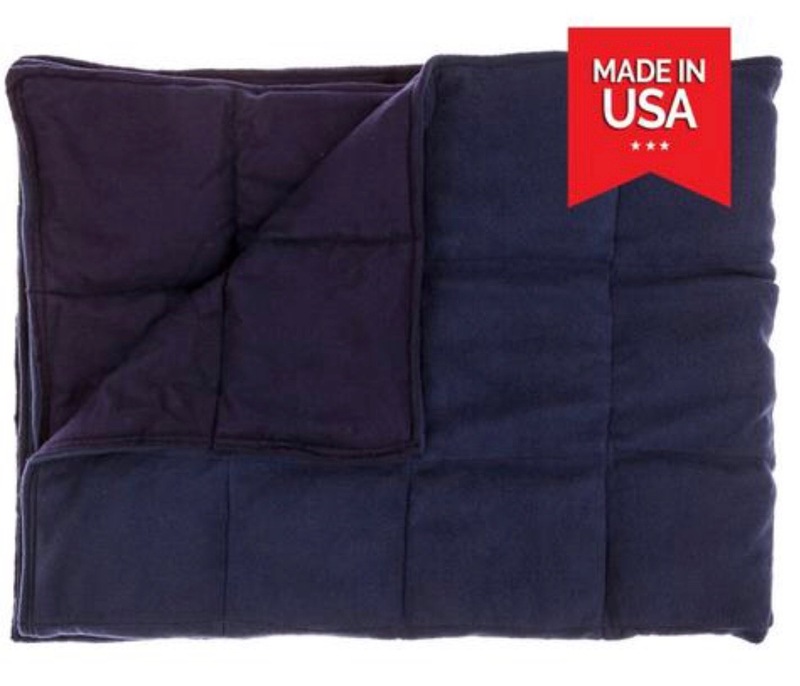 Weighted blankets are meant to help improve sleep and reduce anxiety. They can be very useful for people with sleep disorders, autism or other sensory processing disorders to help create a sense of calm. Doesn’t the idea of a warm, hefty blanket just sound so cozy? Many people like to sleep under a heavy blanket for the comfort alone, but there are actually scientific benefits to sleeping with extra weight on you. 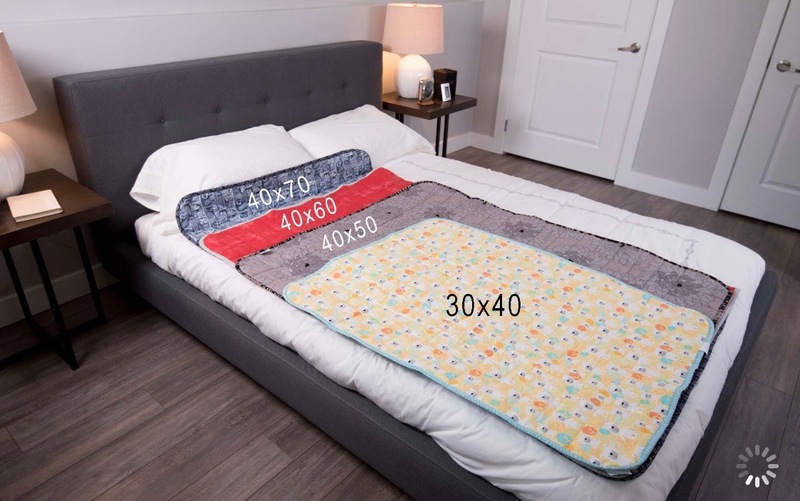 According to the Journal of Sleep Medicine and Disorders, studies have shown that weighted blankets not only help people fall asleep faster, they end up getting a more restful snooze. Further research in the journal Occupational Therapy in Mental Health found that more than 60 percent of adults reported lower anxiety after using a 30-pound cover. Given these findings, it should come as no surprise that weighted blankets are commonly used in medical facilities to soothe patients! A weighted blanket works like a warm hug to soothe the user. Just as Temple Grandin’s “squeeze machine” for stressed cows, and ThunderShirts for nervous dogs, the all-over pressure of weighted blankets create several different calming effects in your body when used. It’s thought that body-wide pressure provided by weighted blankets makes the body release the feel-good hormone oxytocin, just like when you receive a hug. The firm pressure of the blanket also helps the brain release melatonin, the body’s sleep hormone, and its natural mood stabilizer, serotonin. The stress hormone cortisol decreases and, ultimately, so does your stress. Add all of this together and people who use them say they experience a deep sense of relaxation, a better night’s sleep, and wake up fully rested and refreshed. 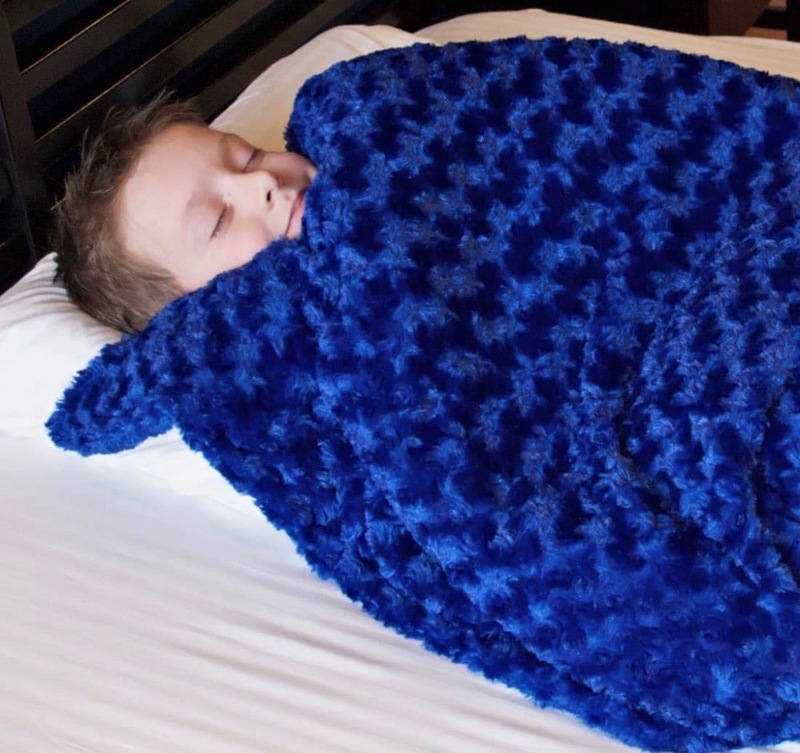 The blanket is available in weights from 5 – 30 pounds. We recommends choosing the option that’s around 10 percent of your body weight — just enough to feel like a cozy hug. Science explains that the blanket “harnesses the power of deep touch stimulation” to deliver a soothing, even pressure across your body. Plus, the premium-grade blanket is made from soft microfiber that’s breathable enough to prevent you from getting too hot.